A few weeks ago, I wrote a piece for The Culture Vulture about Leeds Kirkgate Market and what I thought was the matter with it. It generated a fantastic debate and some great comments from a wide range of people who had plenty to say – good and bad – about the market, its purpose and where it should be going in the future. It’s clear that the market has a lot of supporters, but that it has problems engaging with people properly, and fails to attract a new clientele. There are many reasons for that, and if you’re interested, have a look at my original piece here, and particularly at the brilliant comments at the end. Things are starting to happen now, and this weekend saw the launch of a major new initiative in the market. The Source, sited near one of the market’s busiest entrances, will be a focal point for information about the great food on offer in Kirkgate. 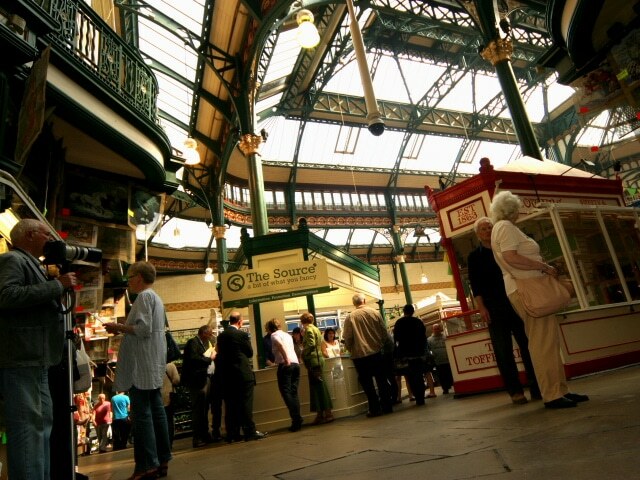 It’s based in one of the stalls in the beautiful 1904 market hall, which has been fitted out to be a multi-purpose space suitable for cooking demonstrations, tastings, promotions and market research. It’s a place where people will be able to find out more about the food the market has to offer, and how to get more out of it. 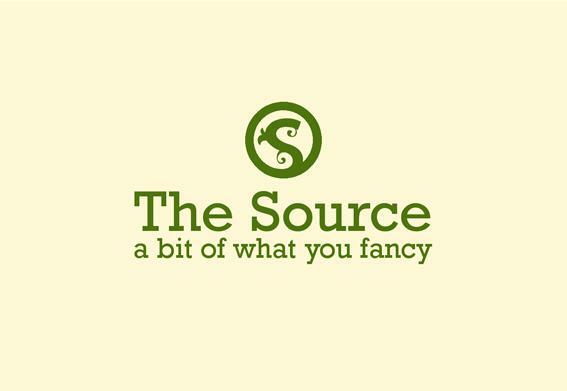 The Source will also become Kirkgate’s social media and online hub, with its own website, blog and twitter accounts – vital steps in bridging gaps and reaching new audiences and customers. The main aim of The Source is to create a buzz about the market, and things got off to a flying start yesterday with the launch of Great British Beef Week, which included a mock cattle auction and plenty of sirloin steak tastings. Next week (26th to 28th April) sees the chance to meet the butchers of Butchers Row. The Source’s demo kitchens will be rented out to producers and traders from inside and outside the market for demos and promotions, but always with an eye on co-operation with the market’s traders. There’ll be plenty of demonstrations, events and promotions coming up – it’s worth keeping an eye on the events calendar. The Source isn’t some fly-by-night pop up affair – it’s a permanent addition to the market’s formidable assets, and I hope that it helps Kirkgate’s traders to reach new customers and make the most of their fantastic market. It’s a bold and ambitious move, and it looks set to be a huge success. Where you there on Thursday? No, couldn't make it as on hols, but I'll be down there shortly.